The Fraunhofer Institute for “Institute for Energy Economics and Energy System Technology (IEE) has its core competence in energy management and system design. It is concentrated on system modelling and the associated analyses of political and economic options for action. The considered systems cover technical (producers, consumers, storage, grid, etc.) as well as economic components (energy market, business models, etc.). Research topics include among others the integrated simulation of future energy supply structures, system analyses and technology assessment, integration of markets and systems, interaction of the sectors electricity-heat- transport, international, national and regional energy concepts and their evaluation as well as energy solutions for the industry. 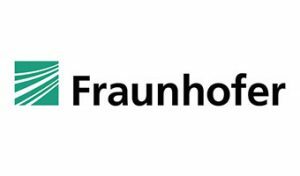 Fraunhofer IEE consists of about 310 employees and has an annual budget of about 20Mio €. The departments, which are most active in this projects, are “Department of Grid Planning and Grid Operation” and “Energy Informatics” focuse on research and development of new approaches for system operation strategies and solutions as well as of statistical and physical based models for the prediction of energy generation and consumption. In the two mentioned departments we have a vast experience from completed and ongoing projects. In the department “Grid Planning and Grid Operation” we use an own developed real-time co-simulation environment with various standardized interfaces in order to set up a test environment and run relevant scenarios in order to validate the newly developed methods and analyze its impact on the current energy system as well as scaled and future systems. The methods and functionalities will then be implemented in our system environment for the integration within in control center of the DSO. We also maintain an own developed powerflow and network analysis framework which will be used for the development of the optimization algorithm. The department “Energy Informatics” is doing research on forecast systems for more than ten years. models estimating the forecast uncertainty.